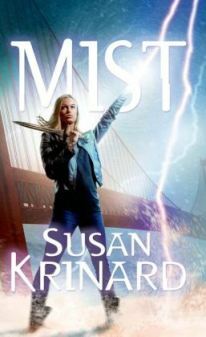 Categories: blogging, books, contests, New Novels, personal post | Tags: blog writing, books, contest, eg parsons, elizabeth melton parsons, magic, Mist by Susan Krinard, New Novels, novel, paranormal, reflections of a book addict, romance, urban fantasy | Permalink. Categories: books, contests, Promotion | Tags: black rock a time for love, contest, E. G. Parsons, elizabeth melton parsons, free read, free sony e-reader, Sony, the wild rose press | Permalink. I hope everyone had a spooktacular Halloween and enjoyed the haunted blog tour.. Thanks to all of you who visited and now it’s time to announce the winner of the $20 Amazon gift card. Remember you must send me an email with your valid email address, so I can have Amazon email you the card. So without futher ado…Drum roll, please…….Congratulations, LadyVampire2u!!!! Send me an email: HERE so I can get your prize out to you asap. Categories: contests, holidays | Tags: amazon gift card, E. G. Parsons, elizabeth melton parsons, Halloween gift, winner halloween blog | Permalink. I hope you enjoyed my version of this old Irish folktale. For more fun and free treats, Visit the blogs below—if you dare! Categories: books, contests, holidays, writing | Tags: eg parsons, elizabeth melton parsons, free gifts, Halloween blog party, legend of jackolantern, trick or treat | Permalink. Along with several other paranormal romance authors, I’ll be having a Halloween blog party all day on Halloween, October 31. I’ll have a list of other blogs and visitors can hop from blog to blog. All the posts will have a Halloween/spooky theme and myself and others will be offering free gifts. So come on by and join the fun. By the way, there’s still plenty of time to get in on the free Sony E-Reader contest. Just click the link in the sidebar and it’ll take you to the contest information page. Good Luck! Categories: contests, holidays | Tags: blog party, blogging, books, E. G. Parsons, elizabeth melton parsons, free gifts, Halloween, Halloween party, writing | Permalink. The Wild Rose Press Fall 2008 SONY eReader giveaway is under way. The contest is sponsored by several authors, including yours truly, E. G. Parsons. So if you’ve been wanting to purchase a copy of Black Rock: A Time For Love, now would be a great time. Between September 22 and December 15, 2008 purchase any title from any of the participating authors listed on the contest page and you will be eligible to enter our contest. There’s also a way to enter without purchasing anything. Click the link below for more details. The winner will receive a Sony ereader loaded with flash drive, excerpts and, a free e-book of their choice. Good luck! Participating authors and staff members of The Wild Rose Press are not eligible. I will also post a link in the sidebar blogroll to the contest page. Categories: books, contests, Promotion | Tags: contest, E. G. Parsons, free e-book, free sony e-reader, romance, Sony, the wild rose press, win a free e-reader | Permalink. I’m guest blogging today at Marianne Arkin’s blog, “Reading, Writing, & Stuff That Makes Me Crazy”. Categories: articles, contests, guest blogging, New Novels, writing | Tags: blogging, chat rooms, contest, guest blogging, long distance romance, love online, Marianne Arkins, win Black Rock: A TIme For Love, writing | Permalink.